One of the major benefits of 3D printing is the ability to create custom items that fit the needs of one user instead of a large market. This kind of customization would not be practical with traditional manufacturing practices that require large runs of the same item to recoup the setup costs. There are few better candidates for this customization then our feet. Thingiverse user Gyrobot (Steve Wood) has documented his process for creating custom insoles using Filaflex filament in a series of blog posts. 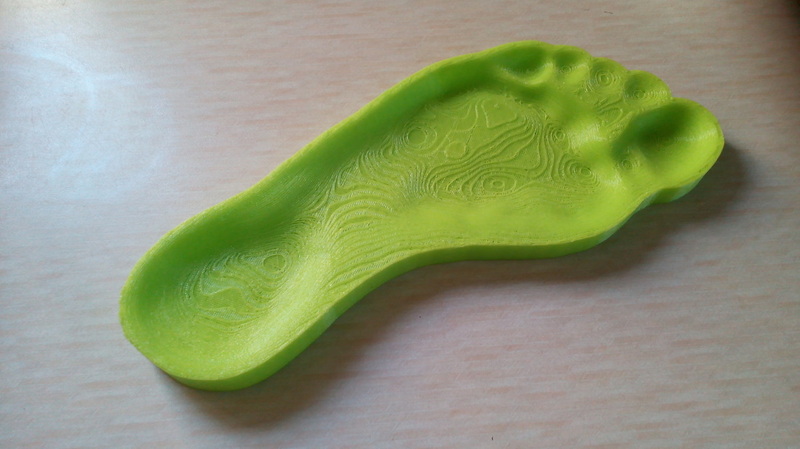 Steve chose to use entirely open source and free tools to create his insoles, making it easy for anyone to copy his workflow and print their own. If you would like to create your own insoles, you will need access to a flatbed scanner to capture the profile and pressure points of your foot. You can read the full process Steve used on his blog here.